Ahhhh, a professional Blow Dry and not having to manually spend an hour drying your hair. Heavenly. Whether you have only heard of them from a friend, your sister, mom, or coworker, or if you have been lucky to have several yourself, most people certainly know what a treat it is to have one. These hair treatments are surprisingly, not new. They have been around for quite some time. 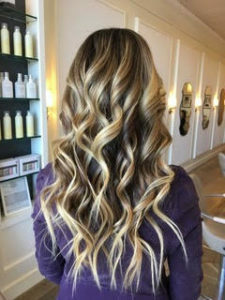 But with the evolution of blow dry bars, the Blowout is now riding a wave of serious popularity. A Blowout, or Blow Dry, is the technique of drying hair to get a smooth, sleek style without using a curling iron or flat iron. A blow dry bar is a salon that does Blowouts. Each service includes a blow dry, and style, but not a cut or color. But even beyond that, at Ink Beauty Bar, we give you a complete experience with time to relax, feel beautiful, and be happy! It’s the perfect place to relax and get some pampering. 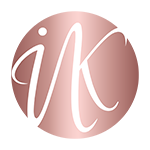 You can also choose to have other beauty services like a lash lift or spray tan treatment to allow you to get ready for your special occasion! Jessica can also do your makeup for you. She’s a very talented makeup artist. What happens with a Blow Dry? We have several Blowout styles you can select from to find the perfect look for you. Here’s how it works… To prepare for your appointment come in with clean, damp, freshly washed hair. From that point, you’ll discuss your desired style with Jessica, your stylist. Luxury products will be provided to ensure frizz-free long lasting results. All of this without causing any damage to your hair the way some curling irons or flat irons can. For about 3 - 5 days, you can enjoy the ease and stylishness of your Blowout without much fuss. The more often you get Blow Dry services, the more likely your hair will last longer every time. It starts to “memorize” the look. What are some of the occasions to get a styling At a dry bar? 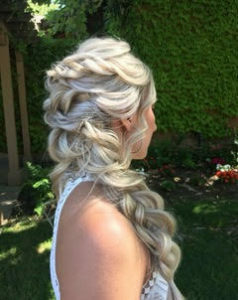 Prom, graduation, balls, and date nights are just some of the occasions to get a Blow Out. We also have regular clients who come in weekly for their fill! For a special occasion or for no reason at all, schedule your Blowdry today at Ink Beauty Bar. You won’t regret giving your hair the attention it, and you, deserve. How to Prepare: Shampoo 10-15 minutes before your appointment so hair is clean and damp (not soaking wet) when you arrive to your appointment. How to Prepare: Please arrive with clean DRY hair. Do not flat iron the morning of your appointment. As with all appointments we appreciate at least 48 hours notice should you need to cancel or reschedule your appointment. Cancellations with less than 48 hours notice will be charged a 50% cancellation fee. No shows and cancellations with less than 24 hours notice will be charged 100% of the service(s) booked. No, our hair services operate as a travel hair service. To prepare for a blow dry appointment you must shampoo 10-15 minutes before your appointment so hair is clean and damp (not soaking wet) when you arrive to your appointment. To prepare for a dry style appointment please arrive with clean DRY hair and do not flat iron the morning of your appointment. 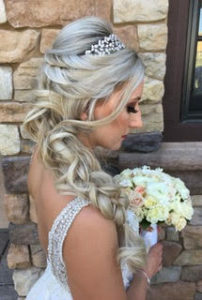 If your style requires fuller voluminous hair you must provide the Clip-In Extensions for your appointment and the add-on must be checked in your appointment booking. If I ask my stylist to put my hair up in a bun or ponytail, is that a blowout or up? 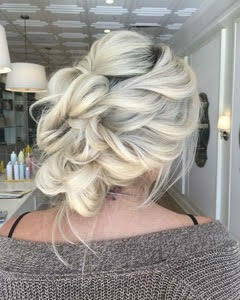 Any style that requires bobby pins or a ponytail is considered and up-do. Can I bring in my wig to be washed, dried, and styled? No, we are not a full service hair studio and specialize in blow drys, dry styles and up-dos. Yes, this is considered an up-do.